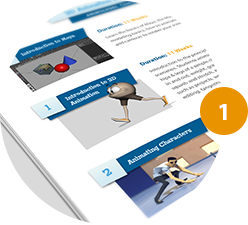 The Online School for the broader world of 3D animation! 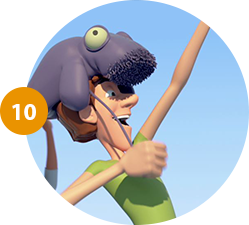 Appealing, convincing characters are the heart of AnimSchool. AnimSchool is the online school devoted to teaching the many skills used in 3D productions from gaming to commercials to film. We teach students who want to make characters (modeling and rigging), or make them move and act (animation). Our instructors work at film and game animation studios and teach part-time with us, after hours. Our Malcolm 2.0 character and AnimSchool Picker have been downloaded over 100,000 times, so AnimSchool's character rigs are known around the world for their flexibility and appeal. AnimSchool is all online--on your computer, over high-speed internet. AnimSchool has two programs, in the 3D Character Program you learn how to make characters, modeling their shape and putting in the structure to make them bend and move and have expression. In the 3D Animation Program, you learn how to make them move and act. 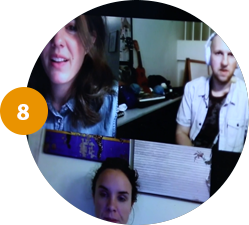 AnimSchool's teachers are experienced film artists in the industry. 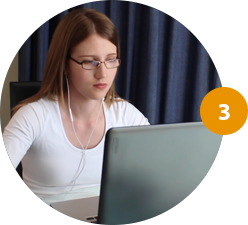 Using the latest in web conferencing technology, students can learn the crafts of 3D computer animation right from home. Maybe you recently graduated from high school or its equivalent: you can launch a career in the world of 3D animation from where you already live, for a fraction of the cost of most other schools. Or maybe you already have a full time job and family responsibilities. You can take a new direction in life, and finally pursue the passion for 3D animation after hours. Decide whether you want to make characters or move characters. Take a look at the program descriptions here: 3D Animation Program or 3D Character Program. 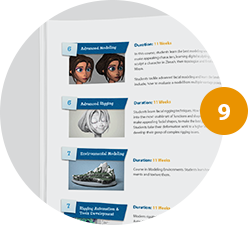 AnimSchool gives you the ability to choose your 3D discipline. Some students find they enjoy a completely different aspect of 3D animation when exposed to more than just one facet. This isn't a problem at AnimSchool. You can switch programs at any time. You may even choose to take advantage of both programs in full and become a well rounded 3D artist. We are here to help you find the right path for you and your career goals. Each program is composed of four classes and THREE prerequisite courses plus Introduction to Maya, if applicable, a 21-24 month course of study. Becoming a 3D animation professional won't happen overnight. Be prepared to make a long-term commitment to make your dreams and goals a reality! Be sure to supply all of the required materials, and get prepared for the next available term! View the Academic Calendar with the dates listed. Apply to AnimSchool. If you want to learn about taking a single Master Class visit Take a Single Class. When an applicant is accepted to AnimSchool, they are accepted into a Program Track, meaning they can take the prerequisite courses for a program in sequence. After completing those courses, students can apply for the program by registering for Class 4. Their student work is reviewed by AnimSchool's Review Board and the student is then notified if they are officially accepted into their chosen program. Once accepted into a program track, you can enroll in your first class. This is the beginning of your journey! Bring your passion and enthusiasm to class, and be ready to absorb lots of information! There may be several teachers teaching the same course at different times. Choose the time and instructor that works best for you! To apply for the Program, students register for a Class 4. They will then be considered for the program. If a student is not accepted in the program at that point, they should retake the prerequisite course to strengthen their skills to reapply next term. Alternatively, they can switch to the other program track. Get your computer hardware and software set. You'll need a webcam with a microphone (or seperate microphone). Many laptops already have them built-in. On the Orientation site, there are instructions for buying the 3D software with the eduational discount. Install the software; make sure Maya runs on your computer. Don't show up to class unprepared! 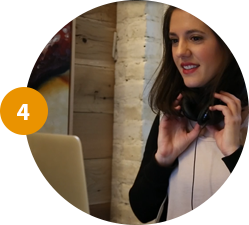 The Orientation meeting or recording gives you information on how to get started. Once the term begins, you’ll be able to download the characters and/or tools needed for your assignments. The Calendar shows important dates for future classes, school events, and your own class and critique times. Review the Class Syllabus on the Class Materials page and the Instructional Videos tab. You're a student now, and you're learning directly from the pros! 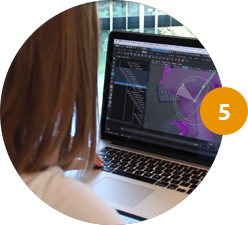 Take advantage of all the resources AnimSchool has to offer! At AnimSchool we strive to provide an enriching and fulfilling student experience. Our staff works hard to make you feel welcome, and part of our 3D family. In addition to the classes you will be taking, AnimSchool has put together programs to help you grow as an artist, and to provide venues to establish long-lasting relationships that will hopefully continue once you make your transition into the 3D animation industry. We offer many free supplemental sessions for critique as well as art classes by visiting instructors each term. Track students are encouraged, and Program students are required to attend or watch at least one of those recorded sessions per week, at least 7 out of 10 weeks. Step 7 - Complete Your Assignments! AnimSchool requires a substantial time commitment. Expect to spend at least 15-20 hours per week carrying out the week's assignments. If you want to excel, devote 40 hours per week. AnimSchool isn't about dabbling in the field of 3D animation-it's about striving for excellence! Here's the secret to getting good: let professionals in the field critique your work. Train your eye to see the problems and deficiencies they see. Take advantage of that access and practice, practice! Step 8 - Ask Your Instructor! Our instructors are pros from some of the top-grossing studios in the field! They're passionate about what they do and they want to share their enthusiasm with you. Whenever you hit a roadblock during the week, write down questions and when class-time comes ASK them! They're there to help you. The class is designed for you to interact with them one-on-one and get any help you need. If you don't understand the direction they've given for your animation, model, or rig, ask them to clarify. You have specific time during each critique class for them to focus exclusively on your work. Then be sure to respond to their notes diligently. Even if you doubt their direction, you'll probably find your work improves when you give it a try. You're gaining momentum. Keep going! The most successful animators are those that are persistent. Keep working hard to reach your goals! Remember, the most popular classes will get filled first. Note on the calendar when the classes for the next term are made available, and sign up early for your next class. Step 10 - Graduate! Now You're Ready To Go! 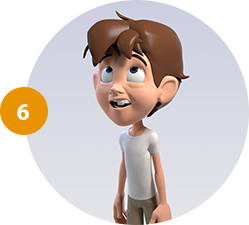 After completing a program at AnimSchool, you'll be ready to work in the field of 3D Animation. 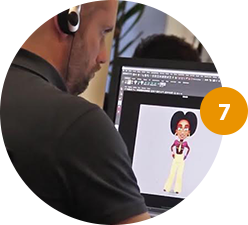 AnimSchool's demanding standards of progress mean that graduates have a very high likelihood of finding employment in the animation field after graduation.